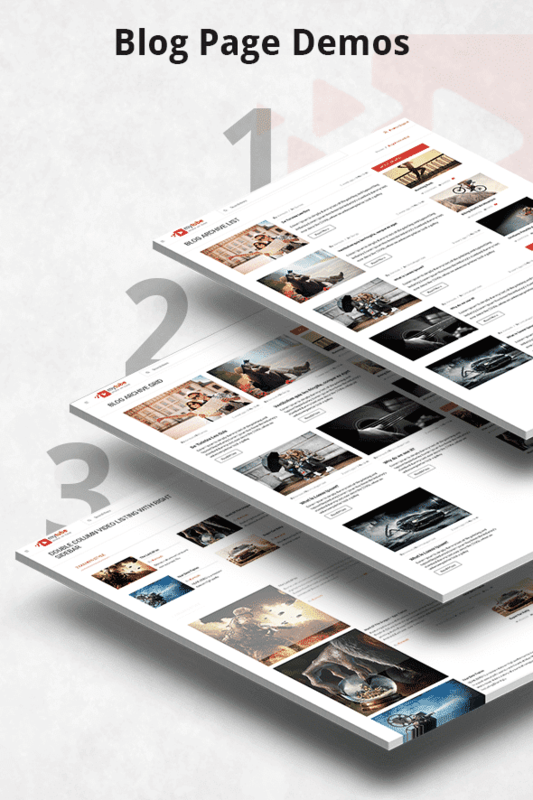 MyTube is the best video wordpress theme to create your movie website like youtube, vimeo and daily motion with a powerful and high-quality template. 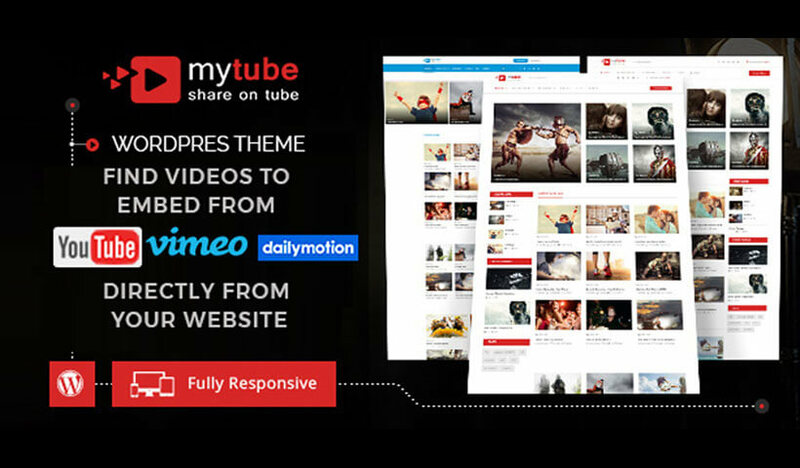 MyTube video clips publishing WordPress Theme has feature to embed the videos on this wordpress theme directly from youtube, Vimeo and daily motion with a single click. Video publishing is the most growing trend to earn money using video advertisements. There are couples of sources websites where you can upload your recorded videos like youtube, Vimeo and daily motion for advertisement purpose and earn handsome money. 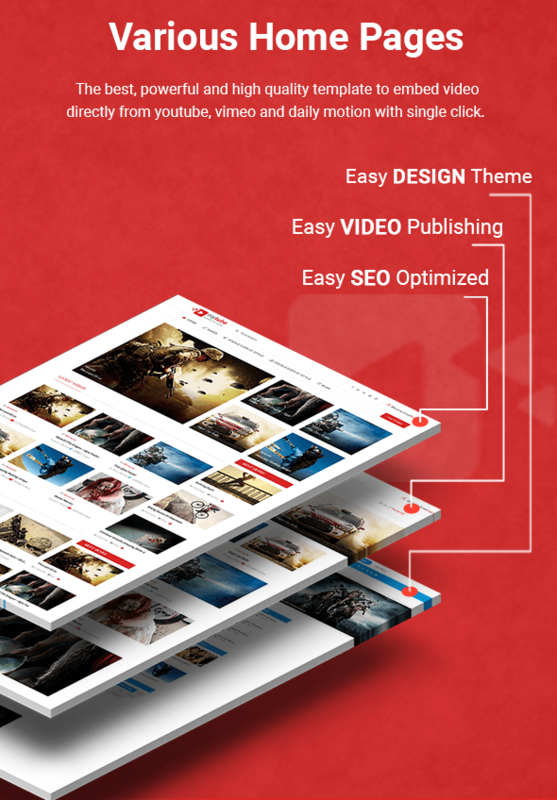 But there is a challenge to get the best theme when you think that you have to have your own video channel or magazine website where you can upload your clips, movies or embed your videos from youtube, daily motion, Vimeo and other sources. 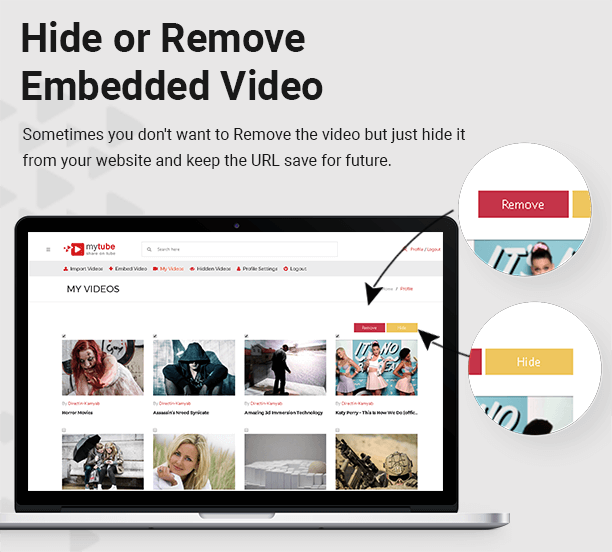 MyTube is the best, a powerful and high-quality template to embed the video directly from youtube, Vimeo and daily motion with a single click. 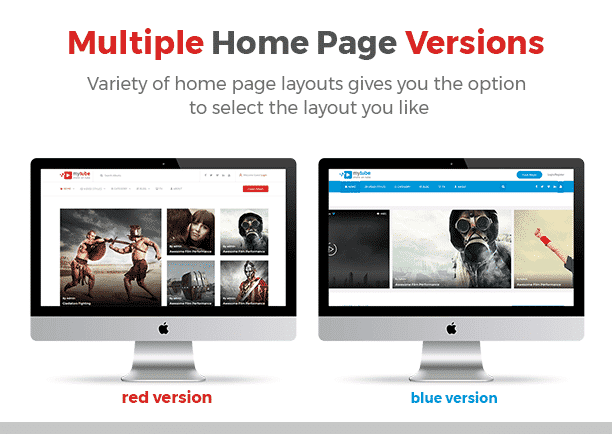 There are more than 12 home page video share website template versions with the various look and feels that give you the flexibility to use any of the versions that fit to your demand. Those all versions are made by keeping in mind the necessity of your video industry like sports, video magazines, fun videos, songs publishing, movies website theme. 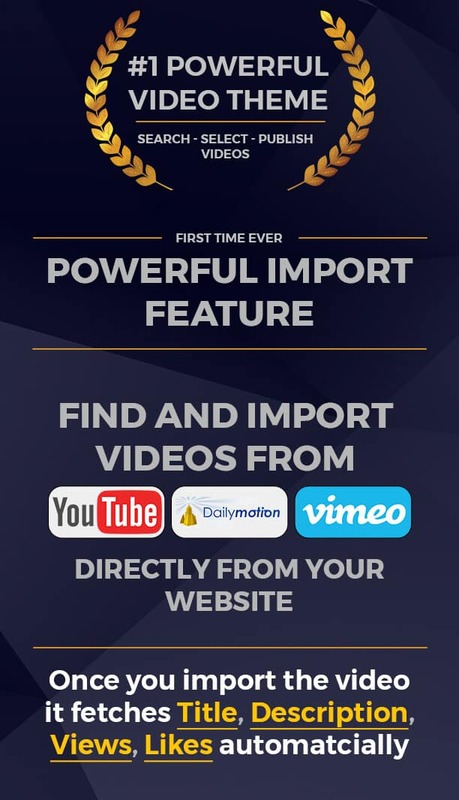 So, whatever your niche is, just make buy this video template and make your website quickly without any problem. This is the mobile era, so, you must have to have a 100% responsive website that works excellent on all digital devices. We created this movie & video theme using bootstrap. 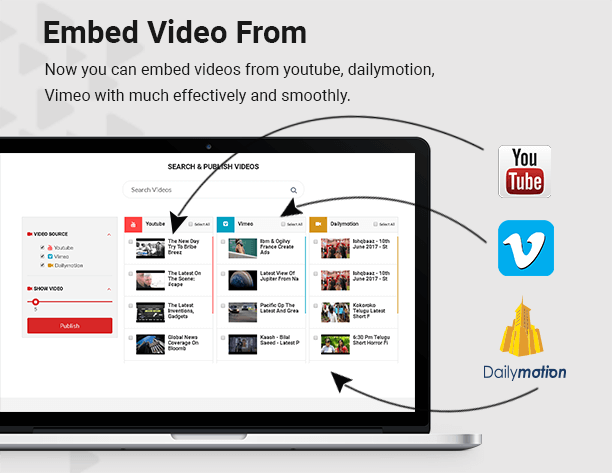 Every single video displays on your digital devices with a fully responsive view similar to Youtube. Headers and Navigation are also most important parts of your web page. 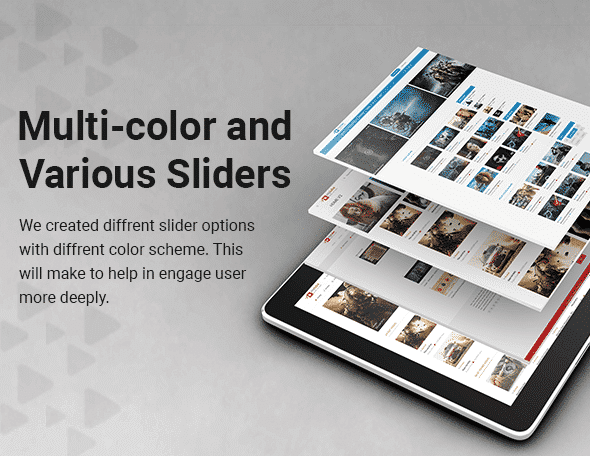 We developed different styles of headers so that you have the flexibility to select the categories or videos using those awesome header and navigation styles. Different types of sliders give you more flexibility to change the look and feel of the top part of your video theme. Make a podcast website using Mytube video web template with elegant feature for WordPress Podcast Theme to publish your videos quickly and easily. 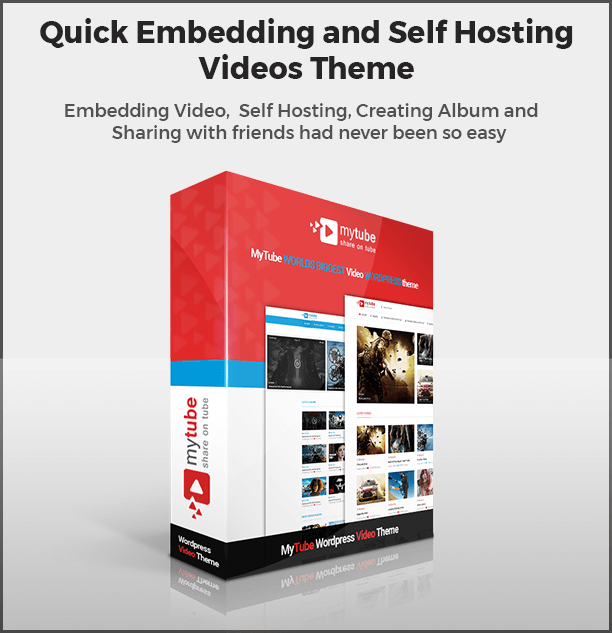 MyTube is modern and high-quality HTML video template for youtube, vimeo, and daily motions video sharing. 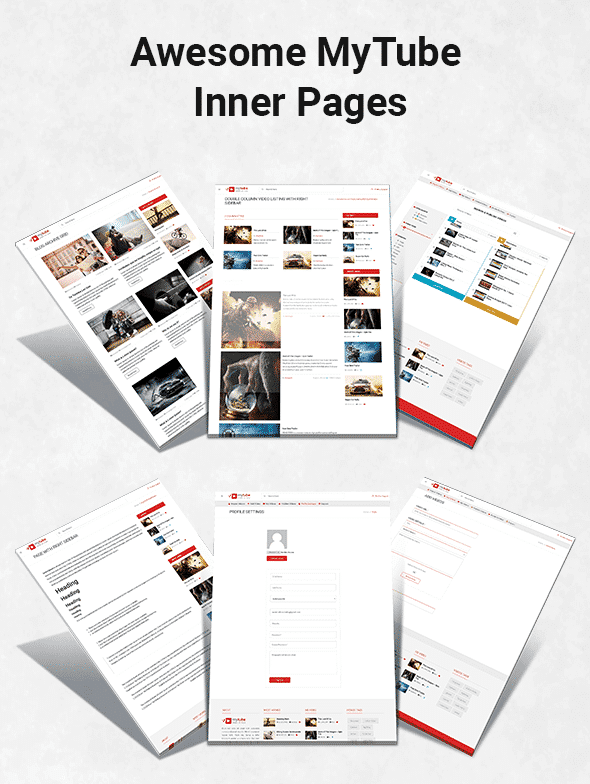 This video template is used for creating video magazine, video blog, video portal, cinema, movies promotion, theaters, and movie community websites. This video template design is very stylish and eye-catching. This template comes with complete responsive layout & retina ready display which means your website will adapt automatically to any screen. This video template has a lot of features like beautiful hover effects, Smooth animations, unique design, and multiple style page templates, working contact form, video gallery, video preview, and video sliders share your album video in social media with your friends & much more. This Video template will be helpful for you to find a best one for your next Video project. Top Quality Theme!!! I can Embed the video from youtube from my WordPress amdin panel. It made my life easy. Great!!! I was looking for a video theme for a long time like MyTube WordPress Theme. This is the easiest and most stable theme i have ever used. Good looking theme and design, no issues whatsoever. I was having some problem while installation, need to solve a little question and they solved my case in one hour. Very good suport team! Amazing designs with well-organized layouts. If you are looking for an Video theme soo Highly Recommend. One of the best sellers so far (Very happy). Responsive customer support and able to judge on a case by case basis to render help. Very smart and generous customer support. Will recommend.